→Can I Use Vaseline for Face Wrinkles? Can I Use Vaseline for Face Wrinkles? Many celebrities including Marilyn Monroe and Jennifer Aniston have sworn to use this as their secret to eliminate wrinkles. You might expect something expensive and off the charts, yet surprisingly, this drugstore find is not just highly available, but also very inexpensive. 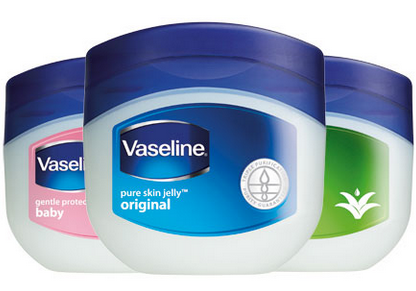 So, to let the cat out of the bag, we are actually talking about Vaseline. Yes, that Vaseline. You may not know but Vaseline is a great moisturizer and has been used to apply to our skin. But like many of you, I am also curious to know if, can I use Vaseline for face wrinkles as well? Let’s find out. Vaseline, the brand name for petroleum jelly is a purified by-product of semi-solid hydrocarbons from petroleum, which is also used for fuel and gas. It is also used in other products such as deodorant and for shining shoes. It might also be a familiar sight in your medicine cabinet as a topical ointment because it is use to cure skin wounds as well. And in the beauty world, it is used to apply to dry, flaky skin and rash. Just like any other moisturizing creams, application is pretty simple. Just put on a small portion of it in your freshly-washed face and leave it overnight. You can apply all over you face, under your eyes and even on your lips to prevent dryness. Experts and cosmetic chemist would recommend the use of petroleum jelly because it is an oil-based emollient, which help prevent water loss from the skin’s outer layer. Hence, the result is a soft and hydrated skin, free from roughness and dryness. And since it is oil-based, makes it a long lasting lubricant to smoothen the skin. Because it is an effected moisturizer, it has pretty much versatile uses and benefits. Many use it to cure flaky and cracked feet, keep hands soft from too much hand washing, irritated skin, or from skin diseases such as eczema, and speed up the treatment for wounds and even possibly prevent scars. As a known moisturizing agent, Vaseline when applied to skin helps keep the water from vanishing, thus makes the moisture in your skin intact. Dry skin is one of the major causes of wrinkles. And to keep our skin hydrated, moisturizing it religiously every single day, morning and evening is a must. Doing so does not only make our skin soft and smooth, but also makes it look younger and fresher. But because of its waxy texture, does it clog the pores? According to cosmetic chemist, Nick Morante, “Petroleum has high molecular weight, which creates an impenetrable film on the skin- keeping environmental junk out and moisture in”. Thus it is too heavy and thick to penetrate and clog the pores. Jessica Krant, MD, a New York City- based dermatologists also explained, “The jelly traps the moisture in the upper layer of the skin surface and prevents it from evaporating”. “It also makes dry wrinkles plump up and appear smoother”, she adds. Thus using petroleum jelly, like Vaseline has become an alternative to other expensive moisturizing cream as it keeps our skin elastic and supple. By applying it, you are preventing your skin from getting dry, avoiding possible appearance of early wrinkles. Does It really Help with Wrinkles? As it is an effective skin moisturizer, the answer, however, to the question as to whether it helps prevent wrinkles is No. It does not necessarily remove those aging lines in your face. As Dr. Dina Strachan, a board certified dermatologist and director of Aglow Dermatology states in an interview with Beauty High that petroleum jelly may be the strongest moisturizer in the market and moisturized skin will make you look younger, it cannot actually prevent the appearance of it at all. It can however, make those wrinkles appear less visible and noticeable. Dry skin definitely makes us look dull and older. Hence moisturizing is one very important element in our daily skin care routine. And Vaseline works as a very efficient and intense moisturizer, which you can use to soften and smoothen your skin especially in winter and cold season. And as Strachan adds, it can be used by anyone even those who are acne-prone. No doubt, Vaseline is a very effective moisturizer that can be used in the face, eyes and lips to combat dryness and keep our skin moisturized. However, as many claims to prevent facial wrinkles, that may not be exactly and directly correct as while it keeps our face elastic and hydrated, it can only make wrinkles and fine lines less visible, yet not entirely eliminate it. Dermatologists, however, highly recommends the use of it as a moisturizer especially when weather is causing your skin to be extra dry. Are you using Vaseline in your face and body too? What do you think of its effects? Tell us about it. And just comment below if you have any questions regarding this article. Vaseline for Wrinkles – Is Vaseline Good for Wrinkles?